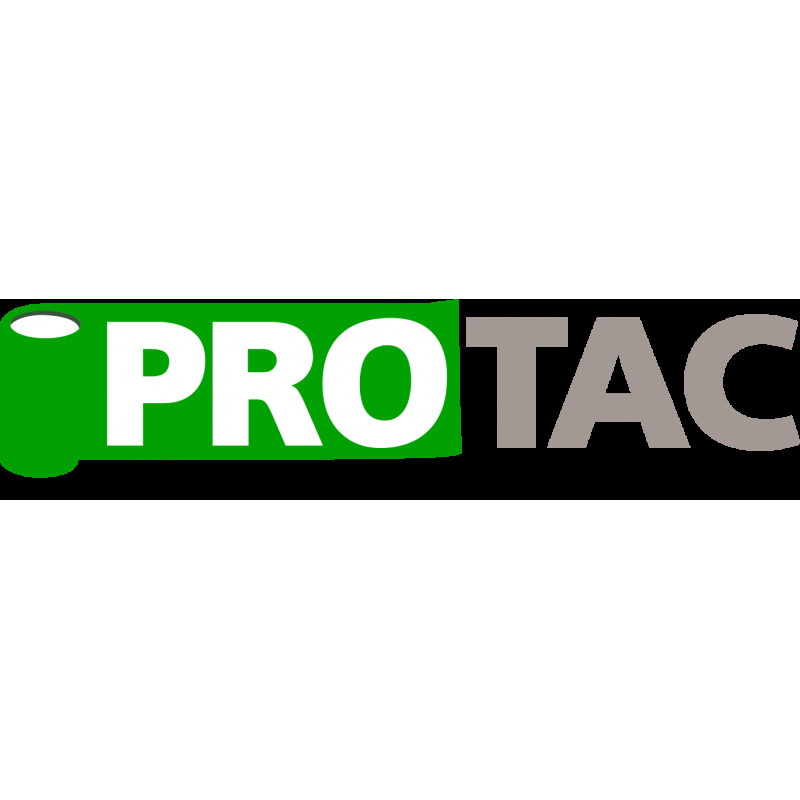 ProTac High Tack Lay Flat application tape is recommended for computer cut and die cut lettering, decals, and graphics. 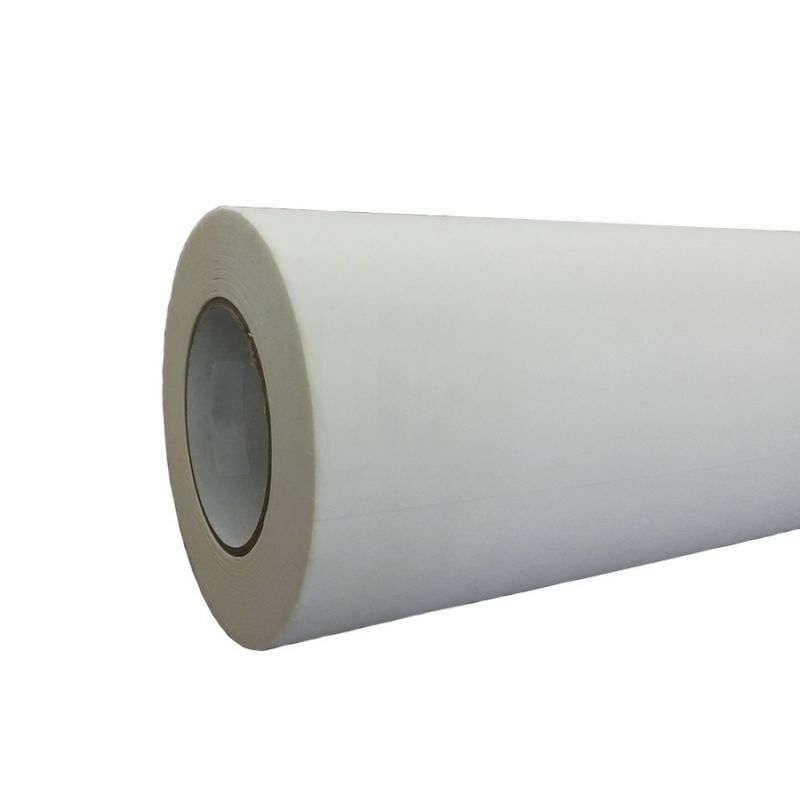 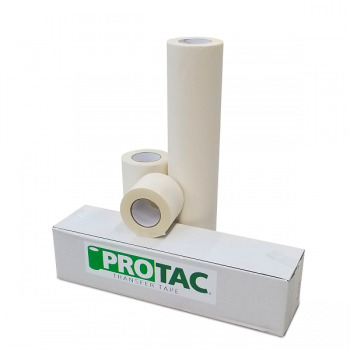 This latex saturated tape lies flat and sticks well to silicone coated release liners and cut vinyl graphics, protecting against wrinkling, tunnelling, and edge curling. 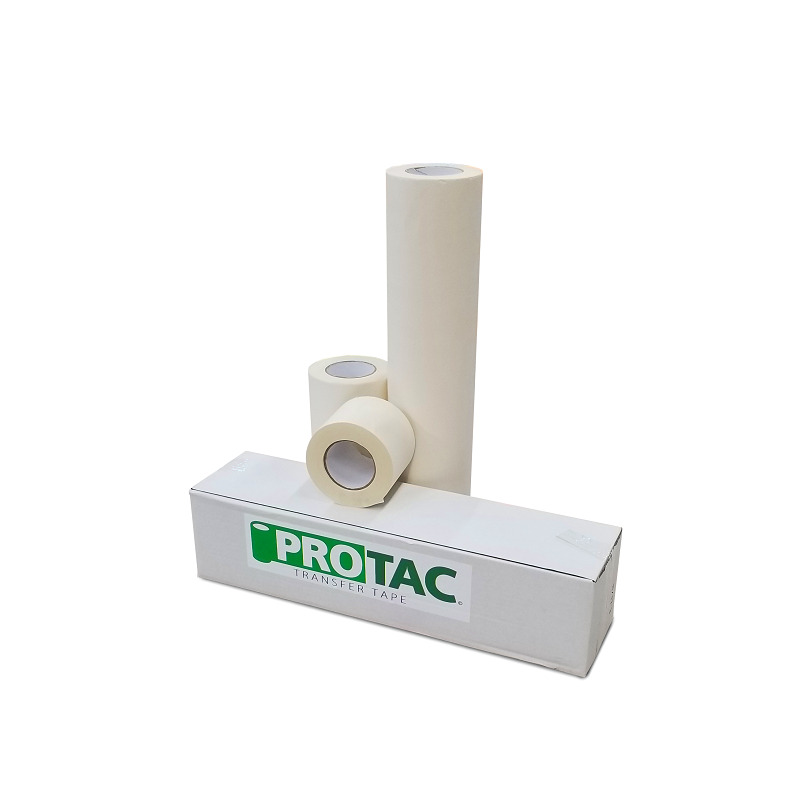 ProTac High Tack Lay Flat tape is especially good for use with small and medium sized plotters.